This used to be the home page of Grass Routes Bluegrass Band. They can now be found at grassroutesbluegrass.com. Bluegrass is a music style named by Bill Monroe, mandolin player and music producer in the Blue Grass Boys, back in the 1930's. Bluegrass is a subgenre of American roots music, influenced by jazz, blues and gospel. Monroe is most commonly referred to as the father of Bluegrass. 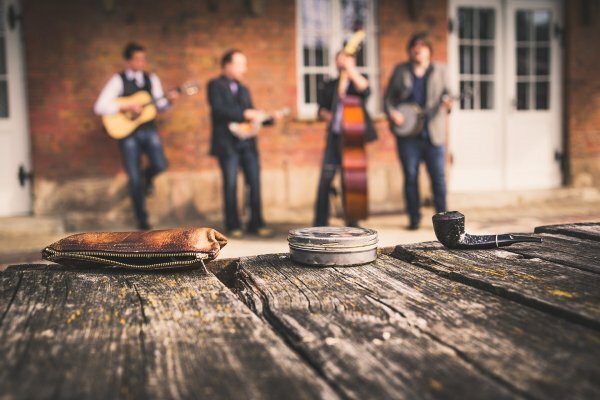 There are some distinct traits of Bluegrass music. One is that instruments often take turns in playing and improvising on a melody, but all instruments can sometimes also play in accompaniment. Up until the invention of Bluegrass, there were usually a lead instrument followed by accompaniment, or just an orchestra in which all instruments played the same melody at the same time. Bluegrass could be called a new, groundbreaking and playful way to play music. All these variations differ from the traditional bluegrass Monroe invented. Progressive bluegrass includes electrical instruments and influences from other music genres, especially rock n' roll. Bluegrass gospel is soulful and based on Christian lyrics and harmony singing. Neo-traditional bluegrass is a lot like traditional, but usually has one or more singers in the band.